I am a huge advocate for creating an online portfolio while in college. Regardless of your program, creating your own portfolio will be incredibly beneficial as you begin to approach the job search process. Especially in this day and age, the last thing you want to do is go out into the real world with just a hard copy of your resume. Whether you’re just getting started, or finding yourself stuck along the way, these tips will help you navigate the crazy, often frustrating world of creating an online portfolio. WHY DO I NEED A PORTFOLIO ANYWAY? The real question is, why wouldn’t you need a portfolio? It is a collective way to organize the professional materials you’ve created over the years. Think of your portfolio as your own professional biography. An online portfolio will complement your resume and cover letter. Your resume talks about what you’ve done and when, but your portfolio shows people what you’ve done. Sure, people will find it impressive that you increased your sales by 25%, but you can use your portfolio to show people how you increased your sales by 25%. The job search process is all about being able to market yourself. With such a competitive job market, every chance to put yourself in front of someone is time well spent. You should make it as easy as possible for hiring managers to be able to find information about you, online. Here comes the fun part. Once you get over this bump, the rest will be smooth sailing, I promise. Are you using your portfolio to gain clients? Are you using it in your job search, or to apply to grad school? Create your content based on who you want to see it. It’s a safe bet trying to purchase something simple like firstnamelastname.com or firstmiddlelastname.com. Sometimes, those are taken and you might have to think outside the box. If you focus on photography or design, you can play around with those words. I’ve had great experiences purchasing domains through GoDaddy and BlueHost. Both companies offer discounts on domains if you purchase your hosting through them, which leads me to the next point. A hosting platform is the middleman between your domain and your website. It connects the two together. Usually hosting companies are the ones that offer the best deals for purchasing domains. GoDaddy, Bluehost, and HostGator are some of the more popular hosting companies. Many of them make it easy to connect your domain to your blogging platform. Bluehost, for example, lets you connect your website to a WordPress.org account for free, which is a really great perk. Tumblr is a good (and free) alternative for housing your portfolio. You can easily create pages and upload photos, videos or text posts. The only challenge is finding a theme you like and feel comfortable using. This is a good option for beginners, or people who want to create something simple that they can expand on, later. 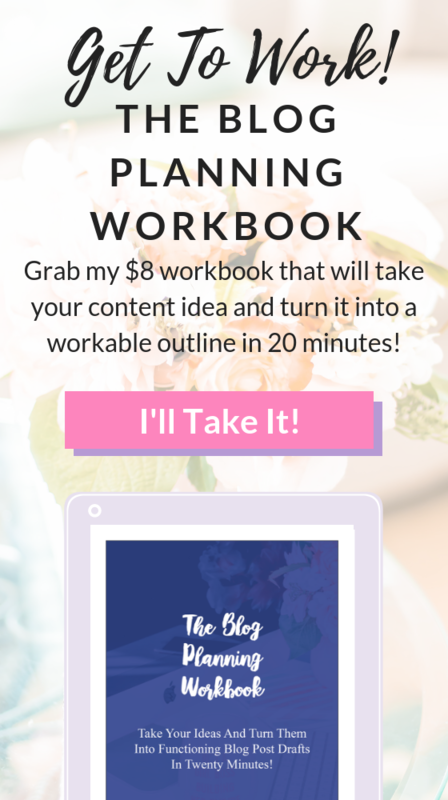 Wix, SquareSpace and Weebly are great options, too because they allow you to drag and drop your layout, making it easy to arrange things how you want them. I knew I wanted a minimalist, black-and-white design so I used Wix to create my own layout. And, honestly, I’m in love with it! They have the optional to add a blog to your website, which is a great way to expand on your professional experiences. Each of these services have monthly fees, but they are definitely worth it for the amount of flexibility they offer. SquareSpace even has a discount option for students! Blogger and WordPress.org allow less flexibility in terms of design. You’ll have to use a free layout or pay to have someone design one for you. These websites offer a ton of cool features, but also require a bit more back-end knowledge to be able to use them to the best of their abilities. So, you have your website. Now, you just have to put the final pieces together. You can add separate pages for the following areas. This is totally optional, but it helps paint a larger picture of your experience and your goals. I created a timeline using Piktochart to document my experience in a way my resume doesn’t. They have a template you can edit, or you can design your own. I wanted to create a minimalist timeline that matched my portfolio layout. If you’re unsure how to go about it, check out my timeline here. Save your resume as a .jpeg file and upload it on its own page. This is a good way to give people a quick chance to look at your resume, without the hassle of making them download it. Some websites have the option to let people download a file straight from the page. If you decide to go with that option, make sure to convert your resume to a .pdf file. Some people are thrown off when they receive resumes that are still in a word file. If you make it difficult for people to reach out to you, they won’t reach out. Create a contact page with your e-mail address, or even a message option, to help people get in touch with you if they have any questions. I decided to type up my e-mail address along with inserting a message box, so people can reach me in whatever way is most convenient to them. Below are some things to think about when thinking about general content of your portfolio. As a rule of thumb, a professor once told me that a home page should include a professional photo of you, your name, and your job title. If you’re still in school, you can add your university, major, and graduation date. Oh, the dreaded biography! You don’t have be too formal with this. You also don’t want to come across as too laid-back. Try to find a good balance between the two. Your situation dictates your tone, so feel free to let your personality shine through! I used my portfolio for my graduate school applications and wanted to come across as professional. Mine is written in third person and is very straight to the point. I list my major and minor, areas of interest, life changing moments, and hobbies. If you’re a photographer who started taking photos with an old Kodak you got for Christmas, talk about that. Maybe your whole life changed when you studied abroad. If so, mention that! LinkedIn is the most common thing people link to in their portfolios. However, I would suggest adding links on your sidebar to your Twitter, Facebook and Instagram accounts. Often times, employers will look for these anyway, so posting them clearly on your portfolio will make it seem like you’re comfortable with them looking at your social media profiles. We all have specialty areas. Mine are photography and writing. Some other areas include design, editing, research, event planning, public presentations, and the list goes on. Create a page for each of your specialty areas, and use each page to elaborate on your experience in that area. Did you do a killer presentation in class? Add a photo or a link to your PowerPoint, and write a little bit about your presentation. Do you have research experience? You can add a photo and link it to your published work. You can also type up the abstract on your portfolio. Do you write for publications or take photos? Add some links to your samples. This is all about being able to show people what you’ve done. If you can’t think of anything, add in essays or other assignments you used for class. Everything is relevant. Link to your portfolio as much as you can. Add your URL to your resume, and business cards. Add your link on your Twitter, Instagram, and Facebook accounts. The more you push your website, the more likely people will see it. Don’t be afraid to show your portfolio off. You worked hard on it, and people deserve to see how great it is! 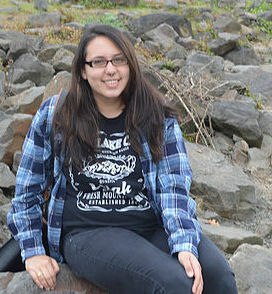 Angela Flores is a first-year graduate student at Northeastern University where she studies Music Industry Leadership. 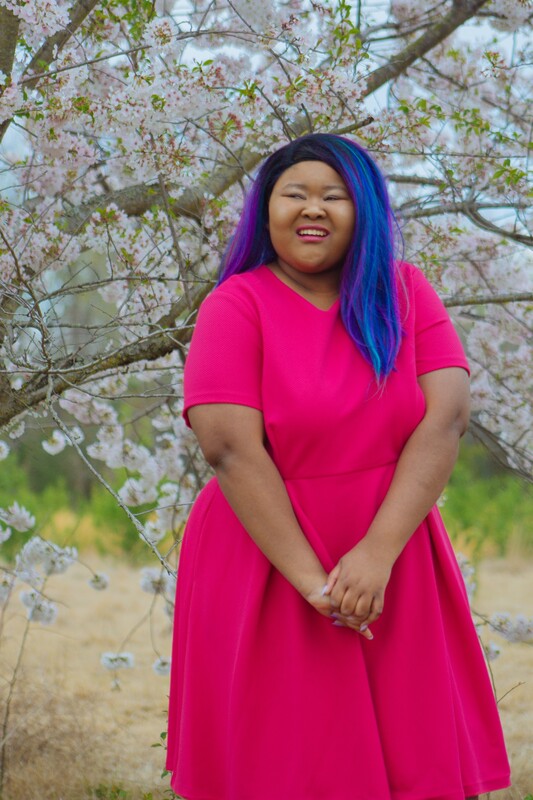 She is a lover of all things culture, art, and advocacy, and loves trying to connect the three together. She sometimes blogs at This Hollow Trend. When she is not obsessively reading through the piles of young adult novels she promised her high school self she’d read, you can find her reading VICE’s opinion-editorials, scouting local art venues, and trying to find time to sleep.